Settling for a low quality Oki B430d toner isn't ever advisable. Consequently, we offer you a full money back guarantee so there isn't a reason to be left dissatisfied. Here at Cartridge Save we're focussed to help you save money without having to sacrifice on print quality and performance. Get your order in today at Cartridge Save to save! The Oki B430d is a very well received item at the minute, thanks in no small part to the near unbeatable ease of use, particularly where an office printer is concerned. However, finding out whether or not the Oki B430d is the ideal item for your office space can be a challenge without trying out the item in question first. So, in a bid to help get a better grip of the details where the Oki B430d is concerned, here is a brief low-down on the pros and cons of this specific office machine. The Oki B430d is certainly well designed; the user interface proves this fact (well-placed keypad), but it is also fairly attractive where office printers are concerned. In many ways, the Oki B430d is a simple grey box. This might not sound overly appealing, but it's a very subtle design and one which should be applauded. 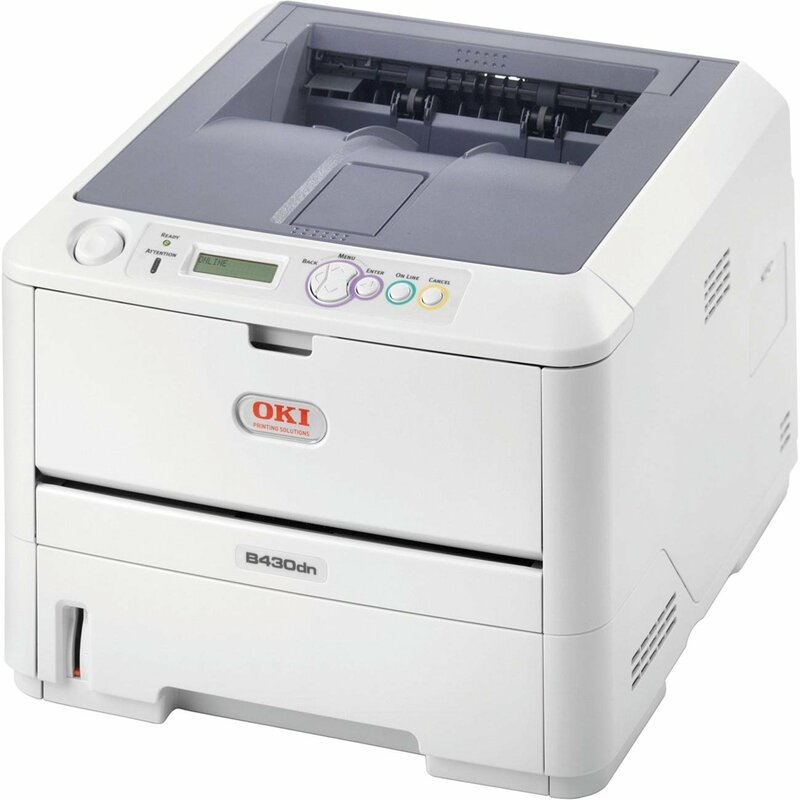 Brave and understated, the Oki B430d is also far more reasonably sized than many other office printers. The Oki B430d is a very tough, hardworking machine and one which would be more than suitable in any office environment, as well as the occasional home set-up to boot. However, it's worth noting that in many cases, a hard working printer forgets the importance of quality. Thankfully, the Oki B430d doesn't fall into this category. The Oki B430d is well designed, easy to maintain and will see basic office tasks completed with ease. As such, you really would be very hard pushed to find an office printer which can perform as many tasks as well as the Oki B430d. What's more, this is not a hugely expensive proposition where printing is concerned and as a result, you too could benefit from picking up an Oki B430d.